Matthew Mazdyasni is currently involved in various consulting and advisory engagements. He was Executive Vice-President, Chief Administrative and Chief Financial Officer of HealthCare Partners Holding, LLC till February 2014. As a member of the senior executive team, Mr. Mazdyasni significantly contributed to the company’s success which led to acquisition by DaVita, Inc. in November 2012. Simultaneously with this transaction, DaVita’s name was changed to DaVita HealthCare Partners Inc.
Mr. Mazdyasni holds a Master of Science degree in accounting from the University of Kentucky. Prior to joining HealthCare Partners in 1982, he worked for national and local public accounting firms. Mr. Mazdyasni was an active board member of several trade associations including CAPG where he was a member of CAPG Board of Directors and the Executive Committee till 2014. He was the CAPG Chairman of Board of Directors in 2004. Since retiring in February 2014, he continued as a board member of CAPG Foundation. Mr. Mazdyasni has also distinguished himself as a mentor in health administration leadership. He was a preceptor to the University of Southern California’s Master of Health Administration program for more than 25 years and was named Preceptor of the Year 2000-2001. 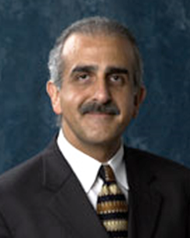 Mr. Mazdyasni is a current member of Health Advisory Board of USC Price School of Public Policy.